The Maxwells are here and in stock! Our new 24" trail bike created Trailcraft style - - category leading weight starting at just 24 pounds with top shelf components is now shipping. 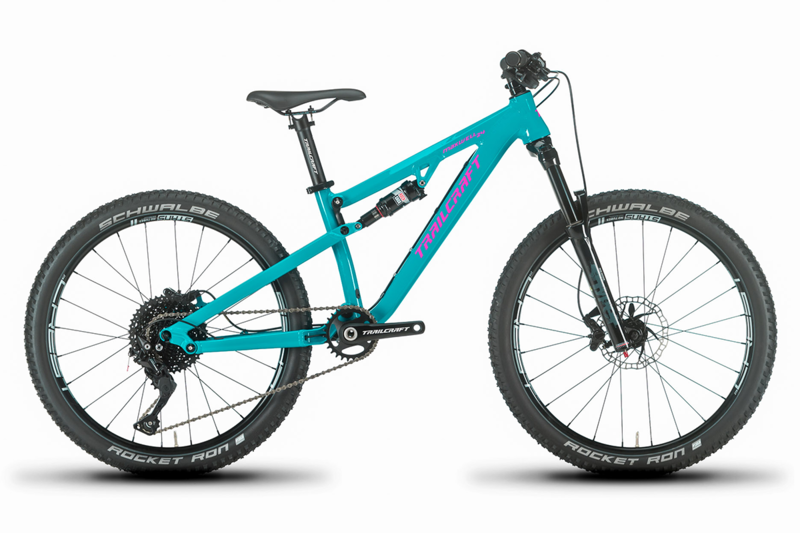 Dominate the trails going both down and up on our new Maxwell 24 full suspension trail bike. 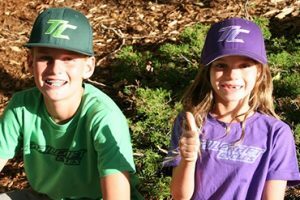 Maxwell seems like a pretty funny name but here on our home trails of Fort Collins, Colorado there is an awesome trail called Maxwell. It’s a super technical, steep and rocky trail but the reward down is so nice. It can be done on a hardtail, but it is so much more fun on a full suspension bike! If this sounds like the riding in your area where you do have to climb for the good stuff going down, then the Maxwell 24 is your next bike. Attention to detail with top shelf level components include Stans Crest MK3 wheels, 85 gram ultralight rotors, an extended range 11-42 cassette and 140mm direct-mount cranks with aluminum spindle typically found on much more expensive bikes. We’ve gone even further with weight reduction – 85 gram stem, 180 gram carbon riser bar on the Pro builds, and 160 gram bar on our XC build. The end goal - to build the lightest production 24” full suspension trail bike. Nothing more to modify to make it lighter because we've built your kid the best bike with the best components so you can spend more time riding. 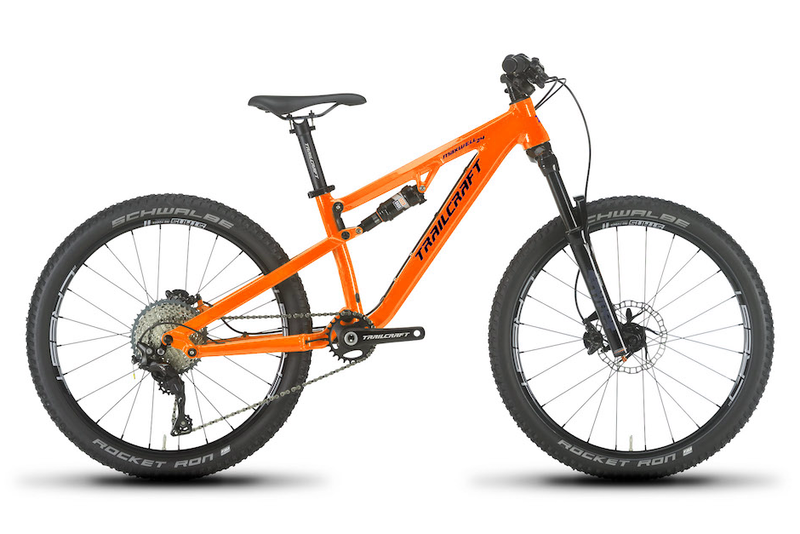 This is a fun, playful, super flickable bike for all types of mountain bike riding. 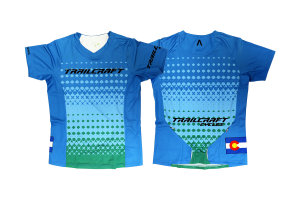 Race it, take it to parks, or just have an awesome bike to trail ride. The Maxwell 24 features a Horst link suspension design which is active under braking and very plush over both small bumps and bigger hits. 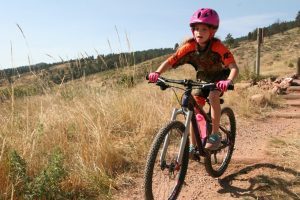 We spec a proper 100mm travel 24" RST Snyper fork which keeps the front end low so your kid can aggressively climb and descend without having the bars at shoulder height. The short 390mm chainstay length keeps the bike super fun yet stable at speed. Perfect for those manuals and launching whatever trail obstacles need to be conquered! 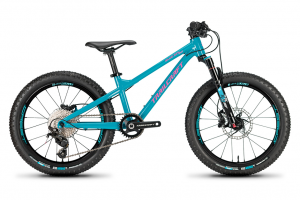 Our Maxwell 24 is internal dropper post compatible and the entire package has been created as the ultimate 24” full suspension trail bike designed to give you more smiles per mile at a ride-ALL-terrain complete bike weight. 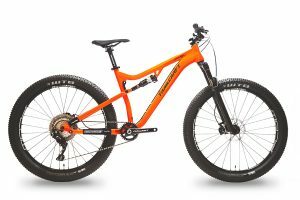 The 2018 Maxwell 24 has it all - super light weight components and 4 cool colors to choose from! We invite you to custom build your kids dream 24" trail bike! Fits riders with a 25” minimum stand over height. 100mm front and rear travel in weights starting at just 24 pounds. The Maxwell 24 has it all - high performance geometry, lightweight components and three cool color options to choose! We've added internal stealth dropper routing on the seat tube so you can add your favorite dropper and not worry about a loop of cable housing. Super clean internal cable routing for the rear derailleur using full cable housing from shifter to rear derailleur with two routing options. 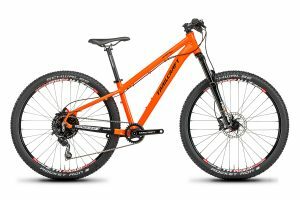 The Maxwell 24 complete bikes are spec'd with RST Snyper 24 100mm forks for more of an all around Trail build to keep bike weight as low as possible and axle to crown low. 26" forks are cool, but we are getting 26" performance and travel at lower 24" axle to crown heights with the new Snyper which is specifically designed for kids lower rider weights. For wheels we spec a high end Stans Crest MK3 24" rim laced to a 12x135mm superlight hub in the rear, and 15x100mm superlight hub in the front. We have three component level choices, the budget friendly Shimano Deore M6000 10-speed package in a 1x10 drivetrain setup, or for maximum weight savings and high performance level we offer a Shimano XT M8000 1x11 package consisting of Shimano M8000 XT brakes, shifter, rear derailleur, and 11-42 cassette. Weight of the Maxwell 24 with Stans Crest MK3 wheelset, RST Snyper fork and XT level components is about 24 pounds WITH pedals. Weight of the Maxwell 24 with Stans Crest MK3 wheelset, RST Snyper fork and Deore M6000 level components is about 24.25 pounds WITH pedals. Weight of the Maxwell 24 with Stans Crest MK3 wheelset, RST Snyper fork and Special Build level components is about 25.75 pounds WITH pedals. Choose your frame color and one of three build package options. Finally, choose the chainring size which will work best for your riding area. We have 26, 28, 30, and 32 tooth options. For more detailed information please click on Specifications and Geometry tabs. TIRES Schwalbe Rocket Ron 24x2.1" Schwalbe Rocket Ron 24x2.1" Schwalbe Rocket Ron 24x2.1"
We received the Maxwell 24 orange bike and everything was perfect. This bike is truly amazing, well done. Seatpost length, derailleur adjustmants, etc. Plus, chainstay AND seatstay protector/wraps from Lizard Skins! Alloy tubeless valve stems included? Tapered headtube!!? Lock on grips!? Extra derailleur hanger!? All bolts properly torqued! I feel like I was assembling an adult bike – haha! When I went to my local bike shop to show it off they said “even adult bikes don’t come with valve stems in the box” and blown away with the quality. You did a really good job. My son loves his new bike!